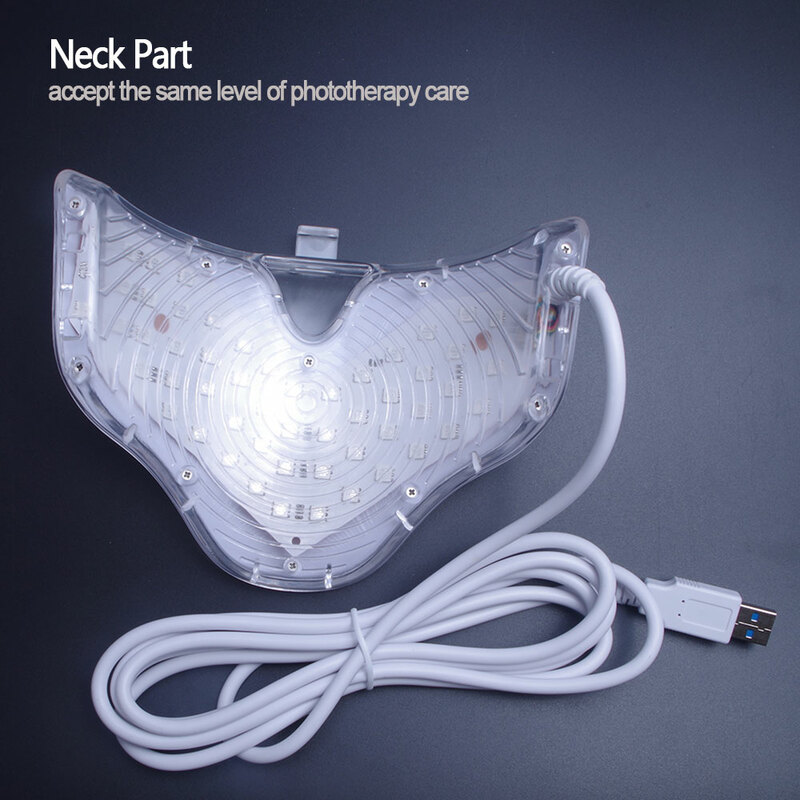 · 7 Colors LED mask can solve stubborn skin problems,like heal acne and repair the acne scar. · Collagen Boosting and Skin Tightening,Reduce and prevent wrinkles, helps fight fatty areas. 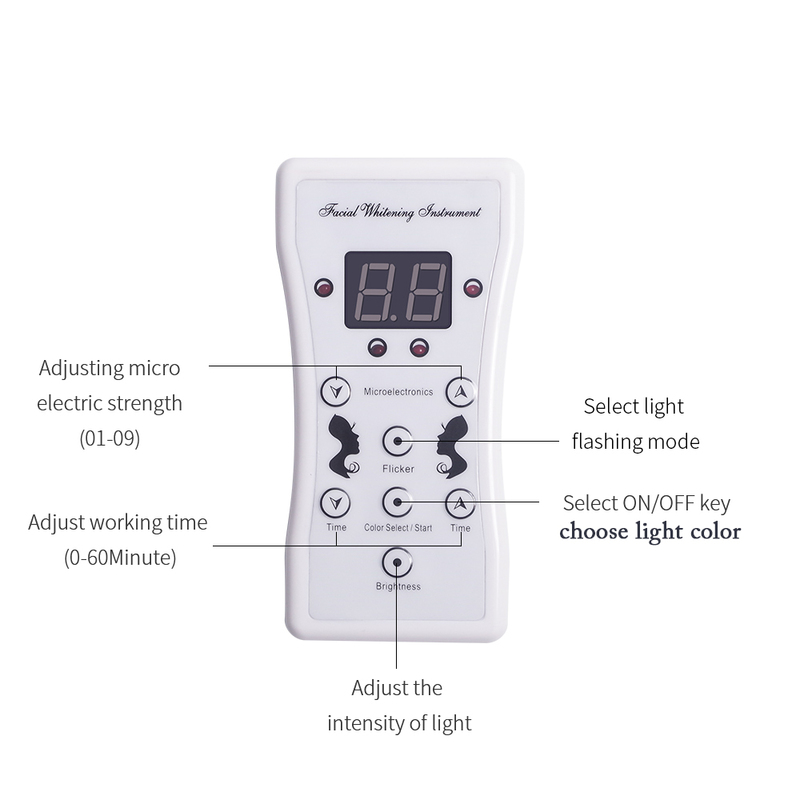 · The remote lets you adjust the intensity and the time. · Use for about 20 minutes each day and can lessen your fine lines and wrinkle around your forehead and eyes in just 4-6 weeks. · The Photon Beauty Device, designed for facial beautification, uses natural light waves, which are transmitted by LEDs into the skin. The light activates photoreceptors in skin cells, producing energy for absorption by skin components, to beautify your complexion. Step1:Plug the USB connector at the end of the wire of your LED MASK. Step2:clean your face ,wait till it dries. This makes it easier for light to penetrate your skin. Step3:Put on your Mask .You can choose the mode you want and Make sure that you wear it comfortably. Step4:Turn on your Mask and you will see tinge of red light covering the whole mask. Note: the light is at low-level intensity. You may close your eyes if you feel like a little unwell. Step5:Keep your LED Mask close to your facial skin. 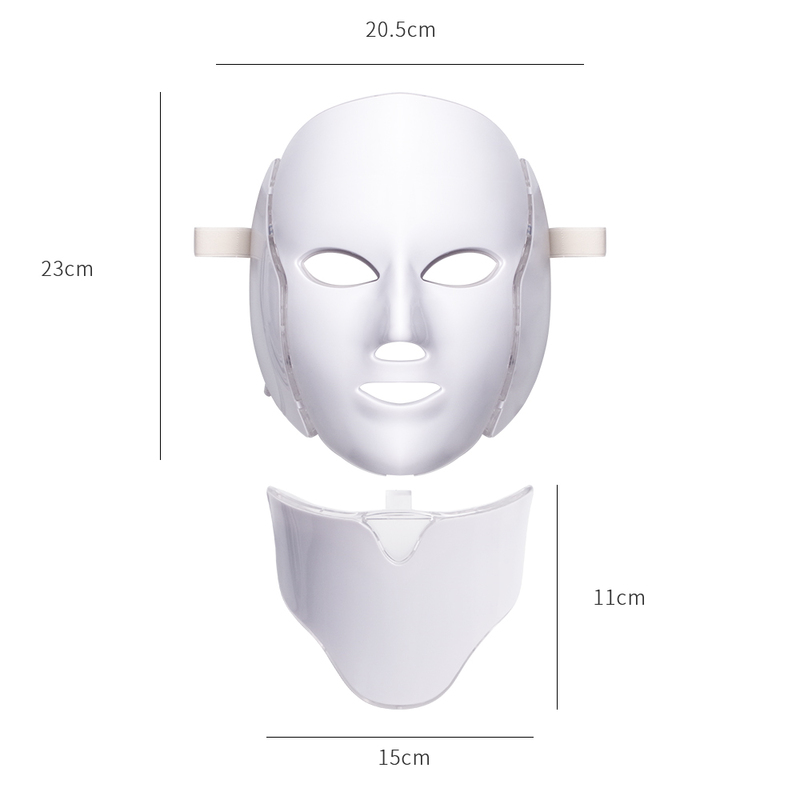 Note:if you want the mask effect better, we suggest you use professional relational skin care product at the same time , the led light will promote the assimilate of skin care product,Enhances the efficacy of skin care product , then has better effect ,and it will not immediately see the effect ,it need some time to repair you skin,so keep use it and be patient. You can also change different colors with the remoter. Red light(630nm):whitening pale spot,tender skin and anti-wrinkle,repair damaged skin,smooth the fine wrinkles,shrink pores,hyperplasia of collagen. Purple light：it is red and blue dual-band light, a combination of two kinds of phototherapy effect,especially in healing and repairing the acne scar. Laser light (White light):resolving age spots,improve fine lines and sagging skin. Green light(520nm):Neutralazation,balance skin condition,relieve mental stress and effective dredge lymphoid and edema. Yellow light(590nm):improve coarse skin and wrinkle，redness, fever, ringworm of the skin, increase immunity. Green Blue light:enhance the cell energy gradually,promote metabolism. 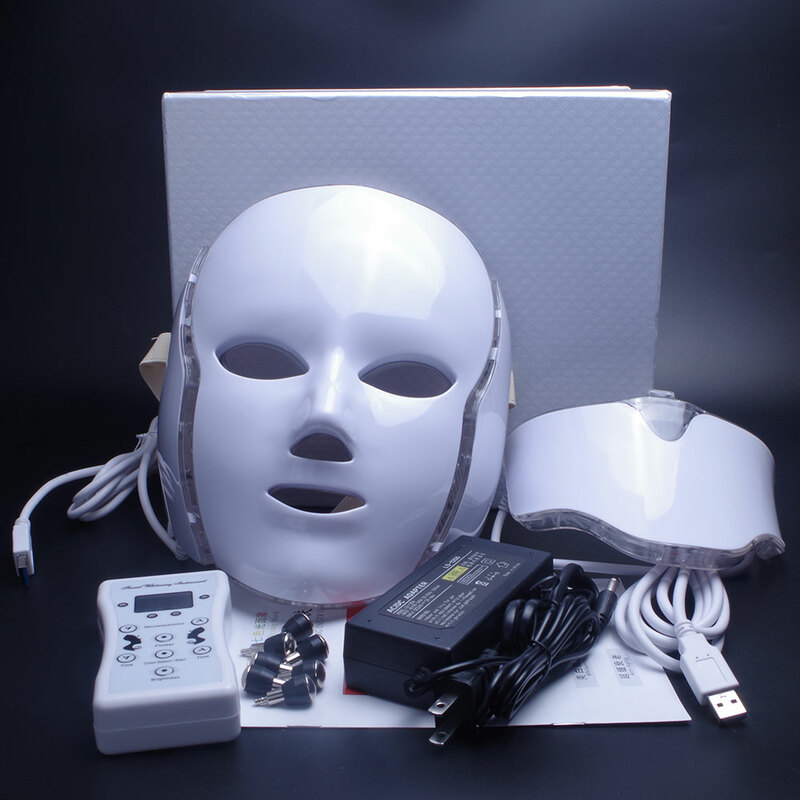 Led face mask is very effective for kinds of skin care treatments. When using it on a daily basis for no more than 30 minutes per day. 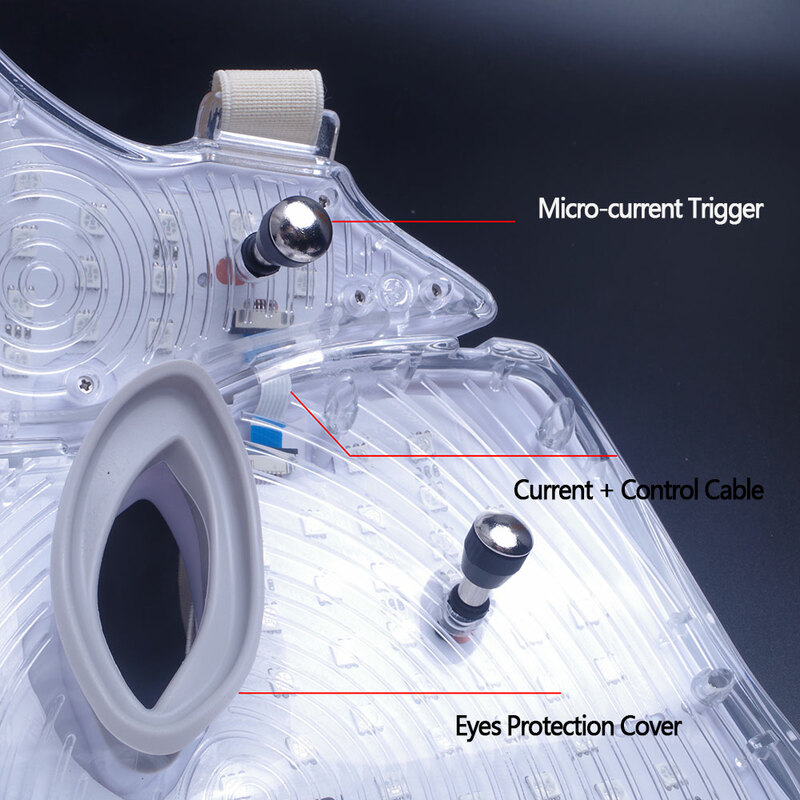 The mask has eyepatch itself ,the led light will not hurt the eyes. Pregnant women,children,Thyroid disease,Light allergic person,use of drugs can cause allergies. Red light(630nm):whiten pale spot,tender skin and anti-wrinkle,repair damaged skin,smooth the fine wrinkles,shrink pores,hyperplasia of collagen. Blue light(470nm):efficiently minimize and heal acne,repair the skin whithout leaving scars. Purple light:it is red and blue dual-band light, a combination of two kinds of phototherapy effect,especially in healing and repairing the acne scar. Laser light (White light):resolve age spots,improve fine lines and sagging skin. Yellow light(590nm):improve coarse skin and wrinkle,redness,fever,ringworm of the skin,increase immunity. 1. Am I a suit for LED light therapy? 2. 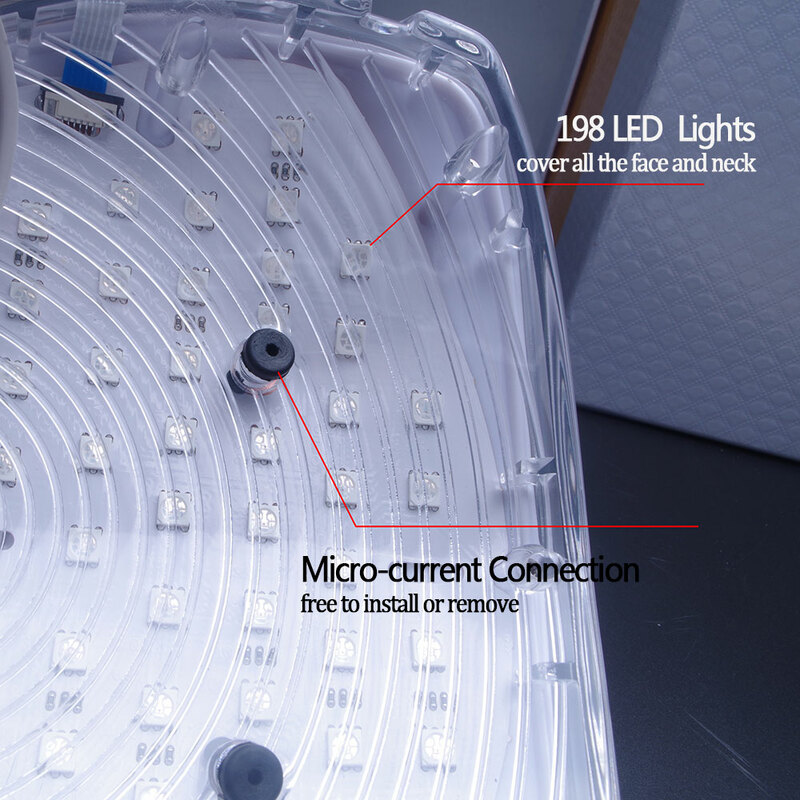 Can I use acne or comedo products with my LED mask? Yes. Your results will definitely be faster if you use a high quality topical acne/ comedos product. 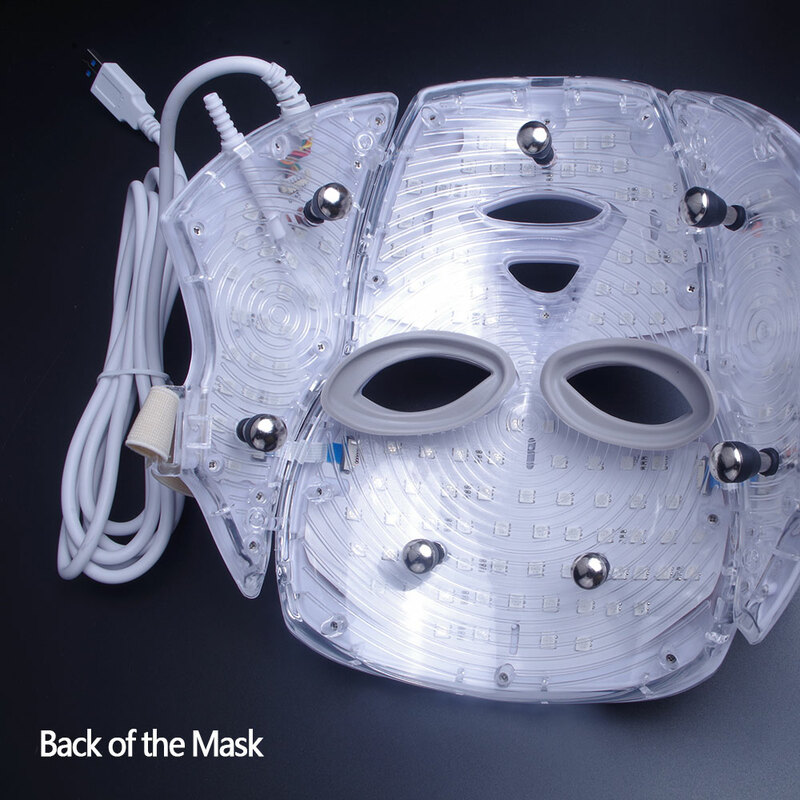 An acne product should not be used prior to using your LED mask, but can be applied afterward.